At heavy snow fall, the geothermal heating prevents the freezing of the surface even with low system temperatures: mechanical clearing becomes very easy. The snowfall and snowstorms are an expected possibility every year in the West. 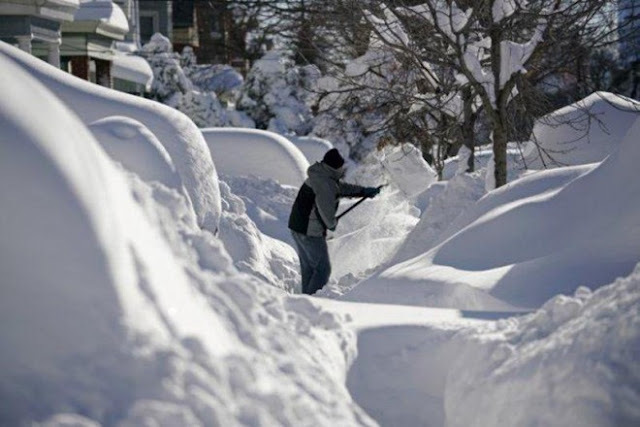 Mountains of snow blanket cities every year, literally bringing life a standstill for some time. Residents pitch in with their efforts to clean the snow. But they are often caught asking one question: how to melt all of the snow? One good news is that an Indian-American man from Paramus, New Jersey, with the help of his son, has invented a snow melt system that helps melt snow an inch and half per hour. The ‘Zenesis House’ has no furnace, no air conditioner and no hot water heater but has the ability to melt the snow right off the driveway. It uses rainwater and solar energy, reported by NJ. 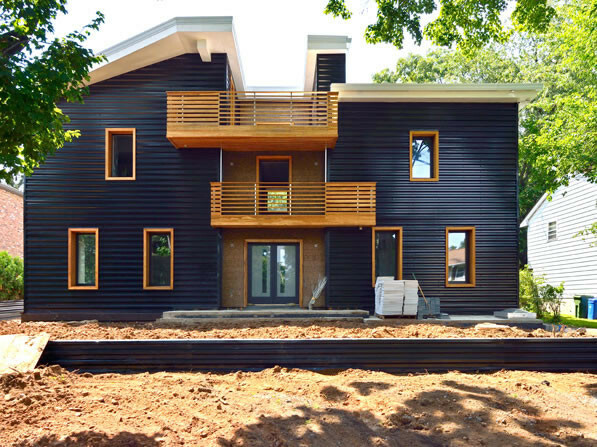 Raj Parikh, who has lived at the New Jersey house in the US since 1980, has radically redesigned ‘Zenesis House’ in accordance with the nature. How does the Snow-melt System work? Using the powers of nature to fight the snow, the Parikh family developed a geothermal snow-melt system that warms water to about 100 degrees using solar collectors and geothermal pumps. That water is piped underneath the driveway and walkways. The Parikhs use the sun and the ground to heat and cool the house as well. During the winter, the house intakes air warmed by the sun and carries it 12 feet underground to be heated by the ground before piping it inside. The incoming air is also heated by exhaust air coming from the kitchen and bathroom. To cool the house, the air takes the same route; only it skips the solar collectors. Heated driveways are widely available, but they usually burn gas or oil, Raj’s son Asit was quoted as saying. “They’re burning fuel,” he said. “There’s no combustion in this system. It’s just the earth and the sun.” The house also has systems to collect rainwater and the very snow it melts during winter storms. “By capturing the sun’s warmth during the day, and by utilizing 2 ground-source (geothermal) heat pumps and our proprietary heat exchange system, our snowmelt system keeps the driveway shoveled- even on blizzard day,” Asit wrote on Facebook, expressing his happiness over the success of the system, as reported by Financial Express. Snow melting with geothermal water has increased during the last two decades. A number of pilot plants for geothermal snow melting and/or geothermal de-icing have been built all over the world. In the U.S. a few projects for geothermal road and bridge heating have been realized. Some of these are combined with heat pumps. Some others are using seasonal heat storage. The oldest documented geothermal snow melting installation was built in 1948 using natural hot geothermal water. In the 1990s several pilot plants for snow melting installations based on geothermal heat pumps were built in Japan, where active snow melting using non-renewable sources has a long tradition.